There is plenty brewing for the month of October. Gatto Pazzo will deliver a rare (only the third) performance at the October 10th B.L.U.R.T. show at SIP in Orlando. Gonna be a great show with other artists including Kevin Greenspon (from California), Electric Inertia (from Ohio), Hardon Collider (from Ohio), Whitey Alabastard (from outer space), Quantyzer, and our ol’ pal Trotsky’s Watercooler. Available for the first time at this B.L.U.R.T. show will be the first two releases from the extremely limited edition art/CD projects by Gatto Pazzo. These items will be hand-made, unique, beautiful, will include lots of artwork by the trio, and will not last long, as they will be produced in very small numbers. 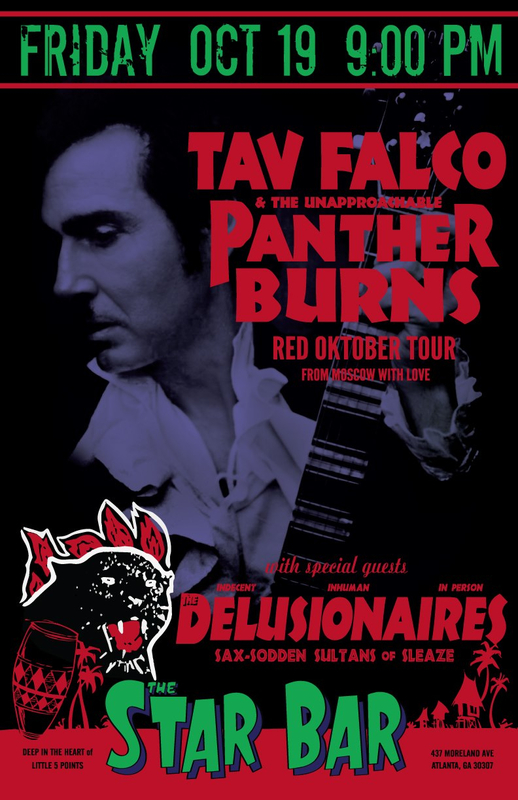 A very exciting event on October 19th: The Delusionaires will crawl out of the basement for a one-time special show, filling the honorable slot of warm up band for the amazing Tav Falco and Panther Burns!!!!! This will be a very special evening. Hangovers predicted. And rounding out the month will be the latest installment of the improvised music showcase at Urban ReThink on October 28th beginning at 3pm. Details are still being worked out, but, as always, these showcases are not to be missed. This entry was posted in Improvisation / new music and tagged avantgarde, delusionaires, Events, experimental music, gatto pazzo, gattopazzo, improvisation, improvised music, jazz, jim ivy, panther burns, saxophone, tav falco, urban rethink by jimivy. Bookmark the permalink.